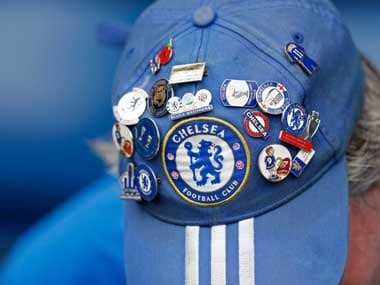 London: Maurizio Sarri says he is not worried about Chelsea's looming transfer embargo, insisting he has confidence in his squad as he targets a top-four finish in the Premier League. The Stamford Bridge club, who host London rivals West Ham on Monday, are fifth in the table, level on 63 points with fourth-placed Arsenal, who have a game in hand. Chelsea were handed a two-window transfer ban by world governing body FIFA in February over the recruitment of foreign youngsters with the club's appeal against the sanction set to be heard on 11 April. 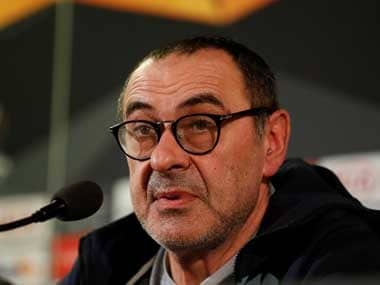 Sarri told his pre-match press conference on Friday that he was not concerned even if the appeal is not successful and that he was "very confident in my players". "We have a lot of very good young players who are improving. If they are able to improve we will be a better team in the future. I am not worried about the market. I am confident in my players," he said. 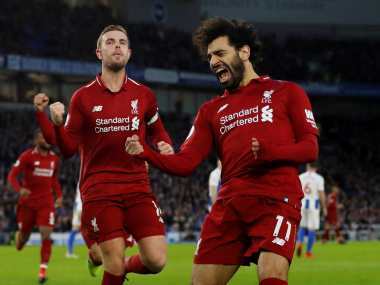 Manchester City and Liverpool are virtually assured of Champions League places for next season but Spurs, Arsenal, Chelsea and Manchester United are separated by just three points as they target the two remaining places. However, Chelsea could also secure Champions League qualification by winning the Europa League and they face Slavia Prague in the last eight. Sarri said the final weeks of the season would be tough, with away league games looming against Liverpool and United on top of their European commitments, and wants to keep his players as fresh as possible for the run-in. "The last part of the season will be very difficult for every team. We only have to fight and think about our matches. We have to fight until the last minute of the last match, but without looking at the other results," he said. "We go on the pitch with the same target, at home and away, to win. We have to play very difficult matches, especially away in the last part of the season but we only have to do our best and play to win. Then we will see," he added. Sarri also revealed he wants to keep striker Gonzalo Higuain at the club next season, even though the transfer ban may block the club turning his loan from Juventus into a permanent move. Higuain has struggled since arriving at Stamford Bridge in January, scoring just three goals in 11 appearances, all of which came against already relegated Huddersfield and Fulham. Asked if he wants to keep Higuain, Sarri said: "Yes of course, but it depends on the club, it depends on Juventus, it's not clear the situation at the moment. I think that he has to improve, physically, mentally. But I think also that he will be able to be very useful for us in the last part of the season. You know very well that it's not easy in the first months to play in the Premier League, it was a problem also for (Luis) Suarez in the first season at Liverpool."